In 2001 the Radisson Hotels & Resorts chain built a huge ship next to one of their hotels in Kuwait, and they called it the Al-Hashemi-II. They issued a press release at the time, claiming that at 83.7 metres long, the Al-Hashemi-II was now officially the World’s Largest Wooden Ship, and had duly been entered in the Guinness Book of World Records. However, things are never that simple in the world of Google Sightseeing! So what’s the problem? Well, I checked my copy of the Guinness Book of World Records (you really need one to write for this site), and guess what? There is no entry for “World’s Largest Wooden Ship”! The ship’s website has a picture of an official looking Guinness World Record certificate, but I have doubts about the credibility of this evidence. Firstly, the ship’s length is stated on that certificate as 80.4 metres — 3.3 metres less than the press release. Of course, it is entirely possible that the CNN transcript of the press release was in error here. However, the “official” certificate even has an obvious typo — “owners ofRadisson”. But before you get too excited, I’m afraid that all Guinness certificates have that very disclaimer. But the most damning evidence against the claim that this is the “World’s Largest Wooden Ship” is the indisputable truth that ships are built for the sea, and this “ship” was actually designed and built to be a museum and restaurant. It has never, and will never set sail. Fully disqualifying the Al-Hashemi-II I worked my way through Wikipedia’s “List of world’s largest wooden ships“, and the first decent candidate for the title is actually the recently constructed 65 metre long SV Tenacious, which has the distinction of being the World’s Largest Wooden Ship Still Afloat. The certificate is completely Jekyll, its nothing to do with Guinnes World Records, its doesn’t even have the Guinness World Records logo on it! Here is a real one. No Mrb, that isn’t the wrong logo – there are two logos, I have a feeling one is the new logo and the other is the old logo. Oh, and just because it’s not in the book doesn’t mean it’s not an officially recognised record by Guinness World Records – that’s what the disclaimer is pointing out. There are so many ‘official’ records that the book would have to be enormous to include them all, so there are plenty that aren’t in the book (I have one of those certificates myself, and was told at the time that my record was unlikely ever to appear in the book). 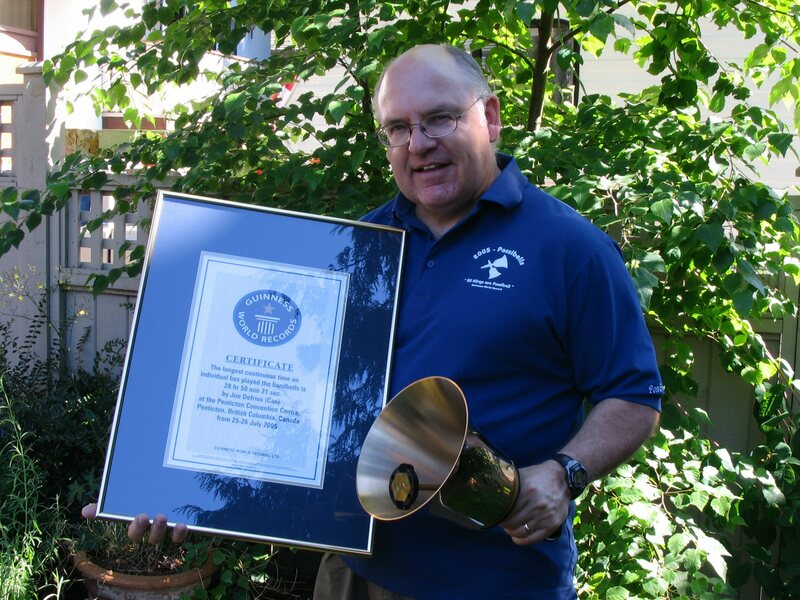 Geoff, you can’t just say you have a Guinness record and not what for. That’s just cruel. I’m going for the Guinness World Record For Posting on GoogleSightSeeing. Do i get a certificate? I was just looking at the Victory, Nelson’s warship- Still a comissioned ship. Sorry, not Nelson’s warship, but at Trafalgar…. It also doesn’t help verification when Guinness keep changing the design of their certificates! My 2002 US edition of the GBWR lists this ship (an Arabic dhow) on page 311 AND lists it as being 80.4 meters (263 feet 7 inches) long.